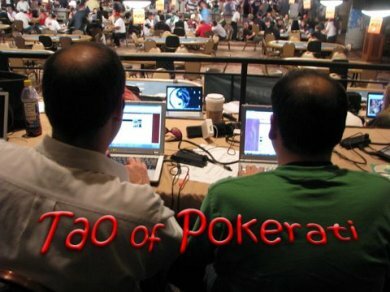 The Poker Beat is back … (attempting) to make sense of all that is going on in the poker world. In this episode, BJ, Huff, and I discuss (at length) PokerStars’ record-setting 149,000 player $1 tourney; the opening of the Aria poker room (and what this may or may not mean over at the Bellagio); the ridiculousness of 17 $1k rebuy tourneys at Bellagio’s upcoming 5-star Classic; everything that is the PCA; PokerStars getting in bed with the Venetian for the new NAPT; and over at Full Tilt, all things Isildur … and, of course, the second red-pro suspension of Brian Townsend. BTW, a little breaking-ish news on this episode — and perhaps an indication of the perceived threat of the NAPT-Venetian, which just so happens to coincide with the LAPC, the usual early-year destination for the LA-LV poker masses … anyone who buys into the $10k WPT-LAPC main event at the Commerce before February 19 now will receive a seat in the televised $200k WPT Invitational. Neato! As the November 9->2 comes to a close, Pauly and I evaluate the make-up (TV- and industry-wise) of the Final Three … and when Antoine Saout goes down, a double-crushed Benjo finds himself baffled by Joe Cada yet still tickled that his countryman’s play allowed him to lock himself in a giant room for 17+ hours to witness this final table spectaculaire. Pauly and I get practically weepy at Mike Sexton’s Hall of Fame induction, with help, of course, from Padraig Parkinson. We’re back … with the world’s shortest poker podcast … so short, we’ve already got two episodes for you. So this Face the Ace lawsuit … yeah … you’ve got a lone amateur TV-show concept-creator trying to take on (lawyers for) PokerPROductions and NBC with claims that they stole his legally protected idea to put out a ratings-bomb game show … and therefore owe him $85 million. A mid-tourney Phil Hellmuth piss break catches no one’s attention but Dan’s and Pauly’s … whereupon we explore the role of VIP bathrooms at the WSOP — and how the need for private urination is only going to increase in coming days.